The recent construction of an illegal mosque in Delhi is symptomatic of the crass politics of minorityism played by the Congress which is desperate to win Muslim votes. The nonchalance with which the MLA of Delhi’s Matia Mahal constituency, Mr Shoaib Iqbal, went about raising a mosque at Subhash Park on the pretext that that was the exact spot where an ancient mosque existed is both shocking and not-so-shocking at the same time. The incident is shocking because the construction of the mosque on land that belonged to North Delhi Municipality and had been leased to Delhi Metro, went on for days but the administration did nothing. It was only after the other locals objected did the Delhi Government intervene and finally a court order was issued to halt the construction. However, by then a massive wall for the proposed mosque had already been built. The US on Monday expressed concern over continued religious discrimination against religious minorities in particular the Hindus in Pakistan and Bangladesh, citing instances of violence against them. While Hindus in Pakistan continue to face the threat of abduction and forced conversion, the members of this minority religious community and Christians in Bangladesh are experiencing discrimination and sometimes violence from the Muslim majority population, a report on international religious freedom released by the State Department said. The failure of successive Governments to deal effectively with continuing illegal immigration from Bangladesh by sealing the border, by strengthening border controls and by identifying and throwing back the illegal immigrants is giving rise to understandable concerns in the minds of the sons of the soil that they are being inexorably reduced to a minority in their own homeland. Hindus in Bengal are amid severest danger that can be compared for sure to the days prior to the partition of India. Infinite references can be drawn from the Islamic period (remaining for around 1000 years over Hindus before the British occupation) to help people ascertain the ever-increasing Islamic danger these days but it may burden this saga only. Nevertheless the ways Hindus are becoming easy preys to Islamists, defensive measures have got be adopted – the fast it is, the better it is. And true to Muslim mindset, this time too – Hindu women remains the first and foremost victim of Islamic lecherousness or lust. Terming as “extraordinary” the situation of Bengali-Hindu migrants in Assam, the Supreme Court on Friday agreed to examine a plea to grant refugee status to them. “We are not underestimating your concerns, considering the current situation in the state... we understand it is not an ordinary issue,” said a Bench of Justices P Sathasivam and Ranjan Gogoi. Whether it’s the dogma of Marxism or the phenomenal urge to make a global revolution to help worldwide proletariat attain its actual freedom and destruct the bane of global capitalism thus, the first and foremost notion to a Muslim communist remains Imaan or compete faith on the religion. They are not like Hindu atheists after all, ready to denounce own religious views forever and a day. Islamists, according to their beliefs, happen to be the choicest blessings of Almighty on earth and they are superior to others in every respect. Hence, if they feel it necessary to whip or even shed blood of others to preserve sanctity of Islam, they must be allowed albeit it leads to umpteen damages for Kafirs. But, if Islamists, on the contrary, become victim of fury, all including government to NGOs must act fast to save such blessed people. Whatever may be the assertions of Government of Assam, it has completely failed to restrain the ongoing disturbance in the state and the reasons behind the same are too obvious to them – even if they pretend to be unconscious. The steady influx of Islamists from Bangladesh (a demographic invasion only) through decades has not only changed Assam demographically and harmed Hindus living there but owing to the same, as per analysts, almost three-fourth of Assam is already lost. And in extensive areas in the state words of Bangladeshi Islamists can be heard instead of conventional language of Assam. Once Assam is lost, the whole North-East region will go out of India’s reach. Can the ongoing wave of violence in Assam be controlled? Even if the administration is wavering still and trying to use every opportunity to quash the turbulence, CPIM has fullest confidence on the Centre and has urged it to restrain violence in Kokrajhar and adjacent region in lower Assam. It is to be noted that affected people there are moving to north Bengal districts in strength. Biman Bose, Left Front Chairman, stated in public, "The Left Front demands that the Centre take whatever effective steps possible to curb growing violence in Lower Assam and restore peace." He also said, "Violence has gripped Chirang, Bongaigaion, Udalguri and some areas encompassing some hundreds of villages''. He has asked the state government of Assam to position police and para-military forces on the Bengal-Assam border without more ado and has also appealed to right-thinking people in Bengal-Assam border to play effective roles to curtail recurrent fratricidal (?) clashes. Lakendra Brahma, 85, a retired PWD employee of Baukabangi village, who has taken shelter in a relief camp, recalled that there were just a few Muslim villages when he was young and how their numbers have grown in recent times. “There were hardly any Bangladeshi migrants when we were young but over the years the demography has changed. Today we are the minority with nowhere to go,” he said. Attending a party during Ramadan: haram. Beating up a young woman who attended a party during Ramadan: halal, and pleasing to Allah. Assam, at this point in time, is being ravaged by a wave of violence between Hindus and Islamists and what started as a heinous attack on Hindus only in Kokrajhar region of the state is engulfing other regions fast. Counter measures are prevailing the atmosphere. What’s the first and foremost fallout of Love Jihad? It’s needless to say that the victim (a Hindu woman undeniably) will either turn out to be a dumb spectator to domestic brutality in an Islamic household or be sold in the flesh market against a lavish price or succumb to death before long. Such experiences are shared by all victims and hence, what has befallen the Hindu girl, victim of Love Jihad and sold to a red-light district in Pune, recovered recently, is not new. The Hindu lady had a brisk love affair with Palash Das alias Salim, dwelling in Tatra – Basirhat, (even if Salim was already married) who feigning to marry took her to a brothel in Pune, sold her at Rs. 60, 000 and fled from there. Is the ongoing political scenario in India ideally secular or has the same chronicle turned into a simple bogey to Hindus in India? This question is being raised frequently but there has never been any perfect conclusion in this regard. Are you also bemused regarding the same? You can have the best answer to this decade-old debate only if you make efforts to comprehend the speech given by Tapan Ghosh, president, Hindu Samhati. Hindu Samhati has often been indicted to give a fillip to communalization of society even if all know well disaster can’t be prevented with words only. However, since a large section of Hindus are failing to get conscious of history thus far they are doomed to repeat the same. What have been wrongs on our part? Hindu Samhati has been retaining one single point recurrently – Pakistani intruders exploiting India’s frivolity have been making our nation mainstay of their ominous designs. Is this untruth? No – without a shred of doubt; the recent incident in Titagarh, Barrackpur resulting in the arrest of five Pakistanis, living for almost a year there in disguise, reveals tip of the iceberg only. A major part of the history of India is characterized by two major foreign rules: the Islamic invasion and the British occupation. The Islamic invasion started with the assault of Muhammad bin Qassim in 712 on the order of Hajjaj, the governor of what is now Iraq, and it took until 1690 for the Muslim rulers to conquer India completely. The fall of Islamic rule started with the British East India Company's capture of Bengal in 1757, during the days of Industrial Revolution in Europe. The British rulers took almost 150 years to capture the entire sub-continent from the hands of its Muslim rulers. 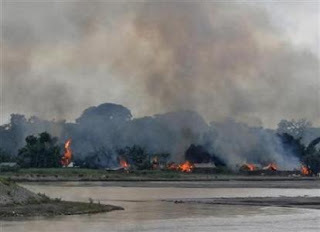 The Indian army has moved in to the district of Kokrajhar in Assam, where a total of 12 people has been killed so far in the clashes between Bengali Muslim immigrants and the Bodo tribals. The riots were triggered by the attack on two Muslim student leaders, believed to be perpetrated by the Bodoland Liberation Tigers (BLT). The leaders are currently admitted to a local hospital in critical condition. Four BLT cadres were lynched by the Muslims later in the village of Joypur, in retaliation to the attack on the student leaders. Islamic force is all set to make West Bengal as Muslim dominated state courtesy to our spineless administration and political leaders. Their policy is very simple and clear. First, grab a land in a Hindu dominated area by money or muscle power. Then increase the number Muslims in the area and finally drive away all the Hindus from that area. They know, toothless administration and their political boss will not take any action against them in the fear of loosing vote-bank. 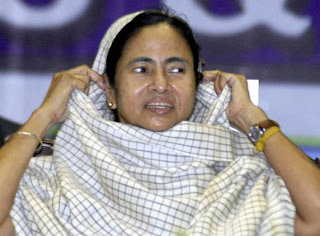 Be it Kashmir, Assam or West Bengal – their policy is paying them dividend. Saudi authorities warned non-Muslim expatriates on Friday, the first day of Ramzan, not to eat, drink, or smoke in public until the end of the Muslim holy month's sunrise-to-sunset fast or face expulsion. The interior ministry of the oil-rich kingdom called on expatriates to "show consideration for feelings of Muslims" and "preserve the sacred Islamic rituals." Otherwise, a ministry statement said, Saudi authorities will cancel violators' work contracts and expel them. It was Jiban Mandaler Haat that did fight against all onslaughts of Islamists whereas Taranagar – Rupnagar did the opposite; the result was quite apparent – Hindus did give in there easily and became easiest preys to Islamic vandalism. And since we are analyzing each development so painstakingly, more hard facts must be mulled over now. Hindu warriors or flippant youths in Jiban Mandaler Haat had political backgrounds but instead of relying on parties (cutting across political lines) they trusted Hindu Samhati leading to the development of a brawny defence against Islamists. And thanks to this valiance, Jiban Mandaler Haat remains devoid of any Islamic torturing these days; Hindu youths are working as vanguards in the vicinity too. Hindu groups are protesting against Hi-Rez Studios, a US-based company, which has launched an online game, SMITE, with a slutty, femme-fatale portrayal of Hindu Goddess Kali. SMITE is an online battleground of mythical gods and features a number of other Hindu gods and goddesses such as Vamana and Agni. Pakistan’s future has never seemed more uncertain than it appears today. The country faces difficulties on many fronts. The economy is weakening; it appears highly unlikely that the governing coalition in Islamabad will be able to take the steps to bring growth back to the level needed to absorb two million additional workers that join the work force every year. The IMF has recently estimated that the economy needs to expand by seven per cent a year to keep unemployment from increasing. It expects that rate of growth at 3.4 per cent in 2012-13. The country’s external situation is weakening as it gets ready to service the large amount of accumulated debt, in particular, the amount owed to the IMF. The Hindus in Maya Hauri Nagar under Joynagar, South 24 Parganas, again, saw the barbaric face of Islam on 14/07/2012. It all started at around 10:30 pm when a local Hindu Samhati worker Kaushik Sardar who was watching TV at a club, Udayan Sangha, heard a sound of bomb blast. He, along with others, peeped out of the club to find the reason but did not find anything. Later, while returning to his house, which is nearby the club, two Muslims named Saidulla Mandal & Moyna Mollah attacked him and tried to kidnap him. Friends of Kaushik protested and started shouting. Hearing this a few Hindus came out of their house and forced the kidnapper to leave Kaushik. Indian intelligence agencies have got hold of a blueprint about foreign separatist groups’ plans to alienate Muslims from the mainstream society of Kerala and to make them pawns in their hands. The first agenda of this blueprint is to alienate a minimum of 5% of the SC/ST backward communities in Kerala, which make up about 9% of total Hindu population, joining them to the Muslim community, and initiating them into terrorist activities. A witness to the genocide committed during the Liberation War in his description of wartime brutality yesterday said he had seen bodies of two pregnant women with their half-born babies. Abbas Uddin Ahmed, seventh prosecution witness in a case against BNP lawmaker and war crimes accused Salahuddin Quader Chowdhury, told the International Crimes Tribunal-1 how brutally the Pakistani occupation force unleashed terror on the Hindus of Unsotturpara village in 1971. About 60-70 Hindus of Unsotturpara in Rauzan in Chittagong were killed in a raid by Pakistani army on April 14, 1971, Abbas said, adding, he lost his friend in that attack. If you have been following the debate over the resumption of talks with Pakistan, then you will be startled by the kinds of arguments that are put forward by the proponents of dialogue. If, on the other hand, you are a hack of long standing like me, then you’ve probably heard it all before. I know I have heard versions of the same argument being recycled year after year, decade after decade. Here is a small sample of what you’re probably hearing – and a short explanation about why it makes very little sense. The great Nepali citizens who bear the legacy of Buddha not seem to be happy in the instable, timid rule of Prachanda and Co. who has been wiping out their indigenous traditions and cultural symbols with their alien communist ones. A survey conducted in 2010 clearly depicted the Nepali mood. 52.2% of people participated in the survey called for the restoration of Hindu Statehood. What is the use of Poriborton (much hyped change factor by the reigning political party in Bengal) if its fails to better humans? Well I am wrong! Perhaps it has benefited all but not Hindus, facing severe droughts (in every aspect) in this one year. Alas, there was an expectation among Hindus in Bengal that the 34-year-long-Left rule (utterly anti-Hindu and hence, ominous) would come to an end with the change in corridors of power. But the situation is out of the frying pan into the fire already. Serious demographic changes are being perceived in several parts of metropolis of Kolkata – Hindus are giving way to Muslims and this is a sheer effect of political pressure, at the behest of state administration. Mosab Hassan Yousef has a knack for controversy. The son of Hamas founder Sheikh Hassan Yousef, he has already broken every taboo in the Palestinian book. He has worked for Israeli intelligence and converted to Christianity. Now he is developing a new film which is sure to be no less sensational: a biography of the life of Muhammad, the prophet of Islam. Yousef, 33, broke ranks with Hamas in 1997 and began working for the Israeli internal intelligence service Shin Bet. Ten years later, after helping Israel thwart dozens of terror attacks and arrest many members of his former movement, Yousef left for the United States where he sought political asylum and later converted to Christianity. 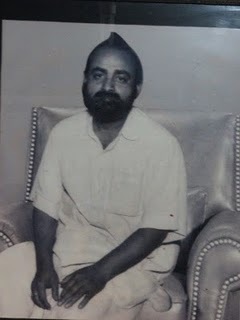 Hindu Samhati, in accordance with decisions taken in its monthly meeting on July 8, 2012, is all set to organize “Gopal Mukherjee Day” on August 16, 2012 , the first such event in the post-1947 period in Bengal, and all these are being done to inculcate the lost Kshatriya spirit in Hindus and also to make people, nonplussed thanks to recurrent onslaughts of pseudo-seculars and Marxists, comprehend the brutal reality prevailing the Direct Action Day, Kolkata – 1946. 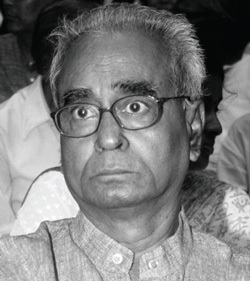 Gopal Mukherjee (best known as Gopal Pantha) remained the greatest obstacle before murderous Islamic population and henchmen of Jinnah and his cohorts in their struggle to have Kolkata and keep it under yoke of Islamic rule. The colossal struggle of Gopal and Hindu youths, inspired by his desperate struggle, turned the wheel of fortune to the other side and hence, Kolkata (2 nd largest city after London in then British Empire) was won by Hindus (after a vigorous battle) inflicting a great defeat on Islamists. Post-revolutionary Libya appears to have elected a relatively moderate pro-Western government. Good news, but tentative because Libya is less a country than an oil well with a long beach and myriad tribes. Popular allegiance to a central national authority is weak. Yet even if the government of Mahmoud Jibril is able to rein in the militias and establish a functioning democracy, it will be the Arab Spring exception. Warrant for Bhaarat! - Unite Hindus!